How would one be able to do such a situation any justice using photography? An obvious solution might be to show up with a view camera, to produce what in a different context was termed concrete clickbait in the context of an article by Owen Hatherley (for Calvert Journal): photography is very good at describing form, but very bad at containing background information. Consequently, the aestheticization that the medium is so good at not only risks short circuiting a viewer’s critical facilities, it also invites coming to exactly the wrong conclusions. After all, can — or maybe should — it be a photographer’s task to turn something awful into awesome pictures? With vast parts of art photography being dominated by essentially camera-club thinking (at the time of this writing, I’m noting a resurgence of view-camera photography), this basic conundrum is only being amplified. Of course, one could argue over whether any of this is a problem. Why shouldn’t photographs of even the most awful things look awesome? But the aestheticization of — in this case — brutalist architecture that reflects and sustains human misery essentially only serves to never get to a point where said misery can be considered. Instead, we’re basically back to the level of architectural models, only that now a photographic abstraction (that glosses over relevant details) has replaced an architectural one (ditto). Photography is very good at describing form, but very bad at containing background information. Consequently, the aestheticization that the medium is so good at not only risks short circuiting a viewer’s critical facilities, it also invites coming to exactly the wrong conclusions. This consideration applies to large parts of contemporary photography, and it being mostly ignored concerns me. Make no mistake, I’m no fan of the kind of agitprop churned out by, let’s say, “concerned photographers”. Much like brutalist architects, they started out with good intentions but fell way short of what they intended to achieve, leaving us with pictures that now mostly reek of a Family of Man style sentimentality. In general, I firmly believe that photography that is agitprop simply cannot be art (because by construction art precludes agitprop’s prescriptiveness). Maybe there isn’t even a real solution here, other than a photographer’s interest in not falling into the trap of aestheticizing something at the expense of someone who also — conveniently — happens not to be part of the eventual discourse (don’t get me started on the road-trip crowd that photographs sad looking underprivileged bearded strangers in the American West). With all that said, how would one go about photographing Vele di Scampia? One possible solution is provided by Tobias Zielony‘s Vele. The book was already released in 2014. But over the past years it has exerted an ever increasing pull on me, especially in light of some of the recent developments that have preoccupied vast parts of photoland. Vast parts of this photographer’s work center on subjects who are stuck in anonymous looking, run down wastelands. More often than not, these subjects tend to be young. Unlike many other artists working on the larger theme of youth, Zielony does not cater to ideas of lifestyle, though. In a sense, if Ryan McGinley‘s fashionably vapid depiction of the glory of youth is one side of the coin, Zielony’s is the other — much more interesting — one. Where many of McGinley’s photographs look like they’re advertizing a life style more than anything, Zielony’s pull back the curtain to reveal the utter shallowness of that endeavour. Zielony doesn’t want to sell me anything. He doesn’t want me as the viewer to be excited for what is shown and stir my desire to be a part of it. On the other hand, he also does not aestheticize his subjects for his own purposes, to essentially other them. They are shown the way they are encountered and seen. This entails a variety of imagery that is as far from a camera-club aesthetic as possible. Scenes aren’t lit artificially. They simply are, with harsh neon or other artificial lights casting unpleasant colour casts. 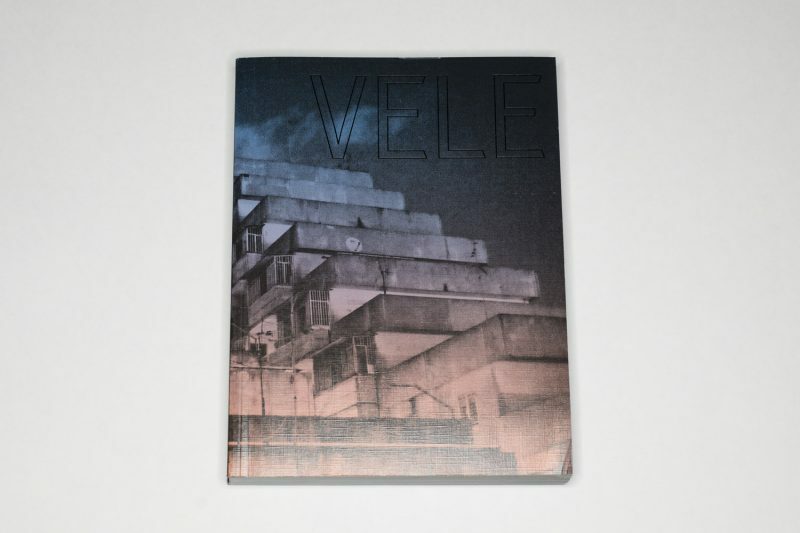 Vele pushes this approach to its extreme with its 287 photographs (I’m going to believe the publisher’s description is accurate). If the book feels like a vast selection of film stills, then that’s because it is more or less exactly that. You can watch the stop-motion video here, even though I have to say that I prefer the book. The video makes things too convenient, and it oddly mediates the experience in ways that the book doesn’t (by this I mean that when watching the video I never felt thrown into the location the way I was when going through the book). 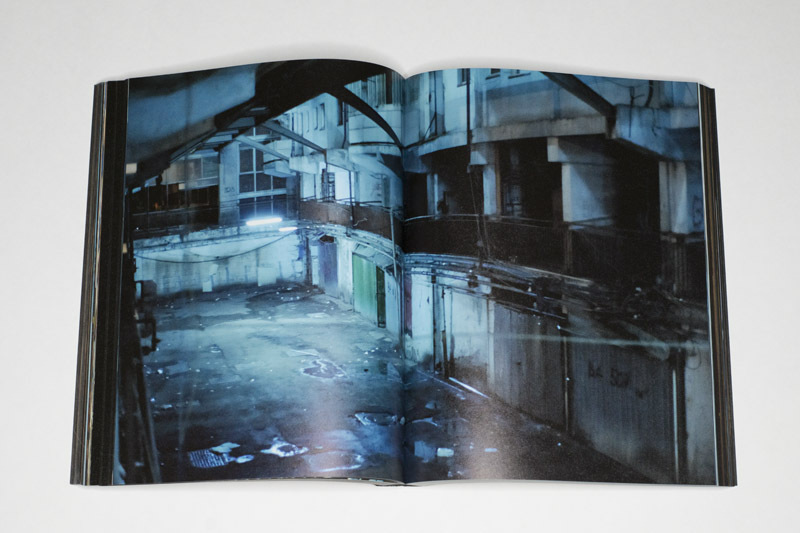 Photographed at night, with harsh lights providing only an uneven modicum of light, Vele di Scampia is revealed as a nightmarish contraption that shouldn’t house human beings, even though it does. The viewer gets to approach the building very slowly, and the “walk” feels endless. As a viewer, you will have to be prepared to give in to the experience (much like you would also have to give in to, let’s say, the pace of Tarkovsky‘s Stalker). Your rewards will be manifold. For example, I have never been as relieved about encountering a human presence as in the book, many pages in. That relief is short-lived, though, because inevitably, as a viewer, you will realize that what you are looking at is a depiction of their reality, the way they have to live. No party involved ends up being ennobled in any way, neither the subjects who aren’t aestheticized, nor the viewer. The idea of the photographer as witness can be problematic: the photographer intending to act as advocate of others tends to speak for them while excluding their voices. Here Zielony does act like a witness, but there’s no advocacy, and for sure there’s no speaking for others. Instead, the viewer is made to encounter a location and people living in that location. I’m not sure there’s another book in my library that comes close to what Vele is doing and how it’s doing it. Each consecutive exposure to the book has drawn me in closer. 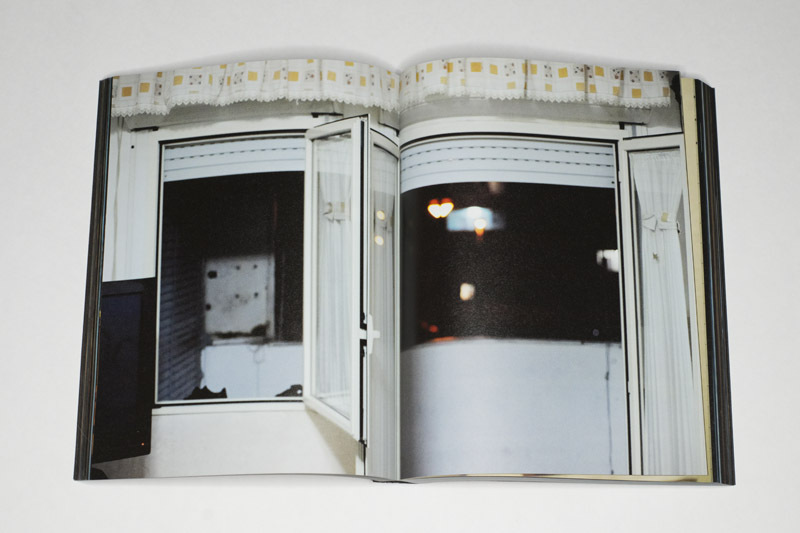 It’s a hefty book with many pictures, so it really asks a lot of its viewers. The viewer might get bored. “If, however,” as Kracauer wrote in the aforementioned essay, “one has the patience, the sort of patience specific to legitimate boredom, then one experiences a kind of bliss that is almost unearthly.” And this photobook delivers exactly that.